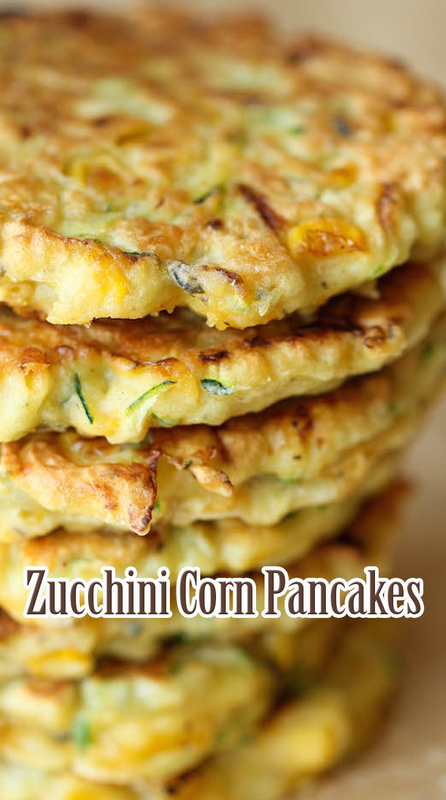 In a large bowl, combine zucchini, corn, eggs, basil, oregano and garlic powder; season with salt and pepper, to taste. Stir in cheese and flour until well combined. Heat olive oil in a large skillet over medium high heat. Scoop tablespoons of batter for each pancake, flattening with a spatula, and cook until the underside is nicely golden brown, about 2 minutes. Flip and cook on the other side, about 1-2 minutes longer.